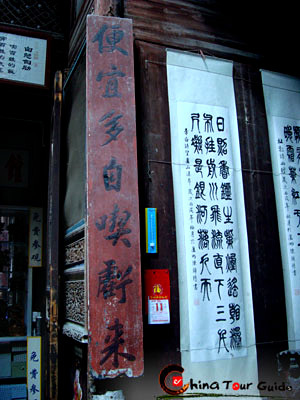 Ink, as one of the Four Treasures of the Study (brush, ink, paper and inkstone), is a necessity in Chinese traditional painting or writing (calligraphy). Traditionally, ink is ground out from an ink stick with a little water. Ink stick, the solid form of ink, can last much longer than the liquid variety and is easier to transport. 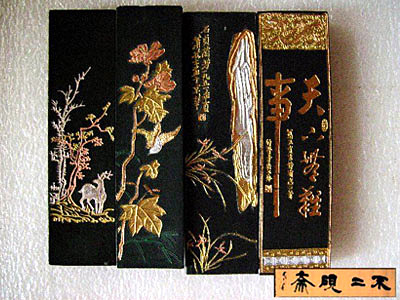 The most famous ink sticks in China are the Hui Ink Sticks produced in Anhui Province. The sticks are made from pines that grow on Mt. Huangshan, which was originally belonged to Huizhou District, thus the ink got its name as Hui Ink. The trees are burned and the resulting soot is the perfect material for ink sticks. Xi, a famous ink maker, moved to Huizhou at the end of the Tang Dynasty (618-907 A.D.) and was credited for inventing this method. Since then, the process has been passed down from generation to generation for more than a thousand years. 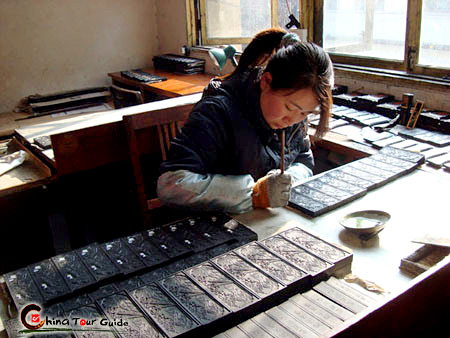 Old ink factories like the famous Hu Kaiwen Ink Factory are still in operation nowadays and continues to produce ink traditional ways. The Hui Ink Sticks have certain "magic" qualities. They are as hard as stone and can be stored for ten years without deteriorating. The ink produced from these sticks is as black as ebony. 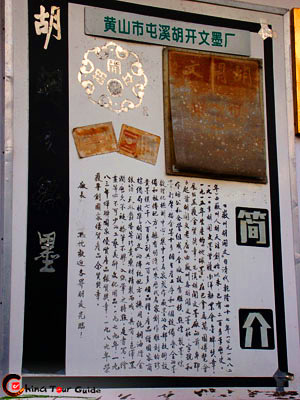 Many interesting stories and anecdotes about Hui Ink Sticks have been recounted in literary circles. According to the chief materials used in manufacturing process, ink sticks fall into three major categories: pine-soot, oil-soot, and oil & pint-soot ink sticks. Hui Ink Sticks are also known for their aesthetic beauty and collectible value. Today they are still being produced through the traditional methods dating back to the time of Xi. 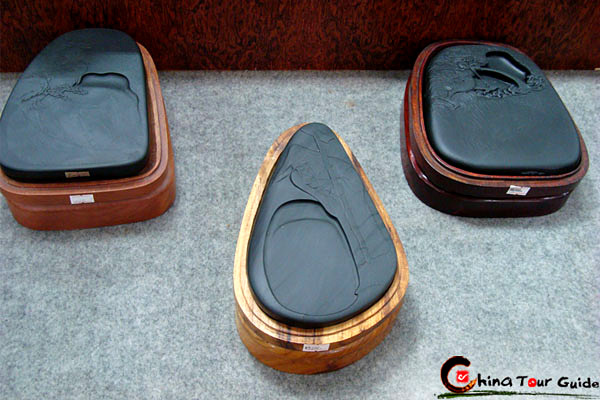 Hui Ink can be made into different shapes and is beautifully decorated and worthy for collecting. 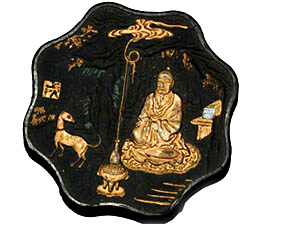 Hui Ink is highly reputed for its aesthetic beauty and collectible value.